I recently served this dish with a 7 course dinner whilst in Vancouver. I was trying to replicate a soup which I had at Starbucks at Muir Woods, just outside of San Francisco. Yes Starbucks! To be honest, I was quite surprised to see that just about everything on their menu was either organic, fair trade, pesticide-free or gluten-free. It may have been the contrast of coming in from the cold weather to a warm cup of soup that made it really special. Not sure. 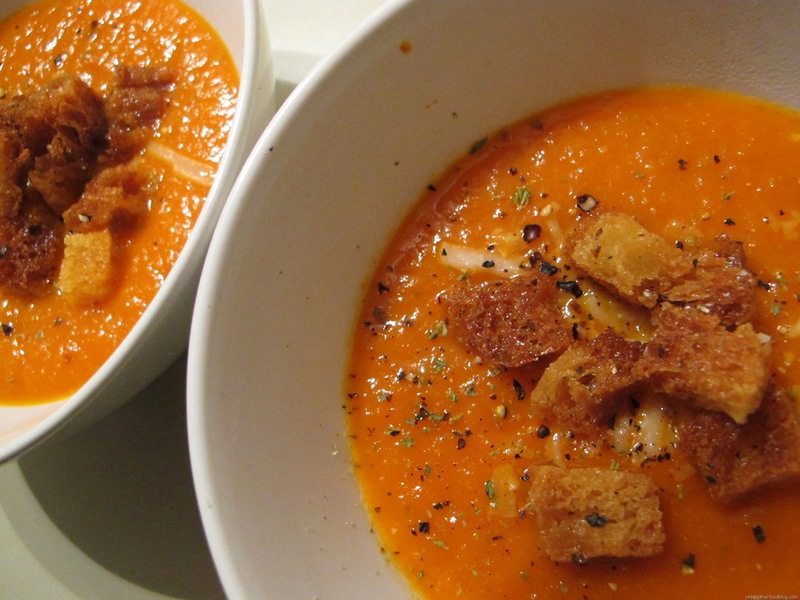 Nonetheless, this soup took us back to that moment, is tasty and very easy to make. Roast tomatoes in an oven for about 30 minutes at 180C (350F) then remove skin. 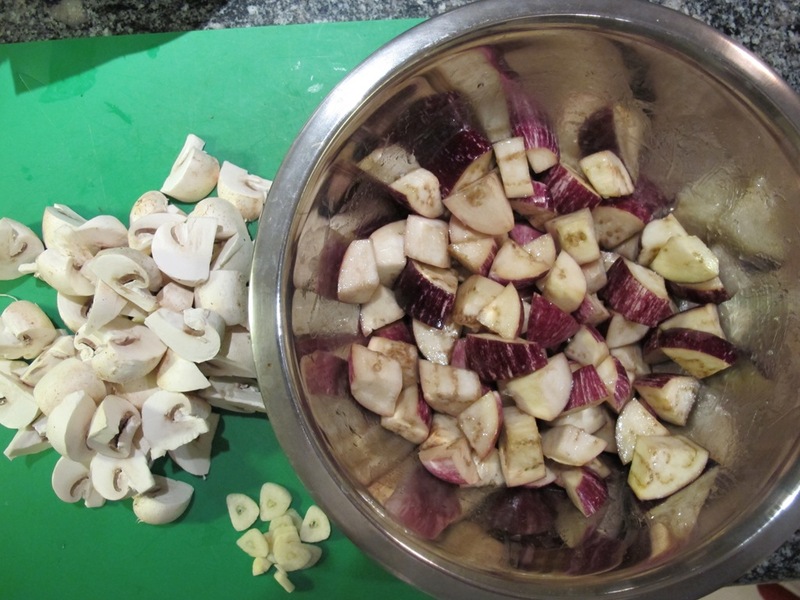 In a saucepan, saute onion in olive oil until translucent, then add garlic and cook until garlic is soft. Add tomato flesh, saute for another 5 minutes. Add stock, stir and simmer uncovered until consistency is thick (I like my soup thick, similar to a smoothie). 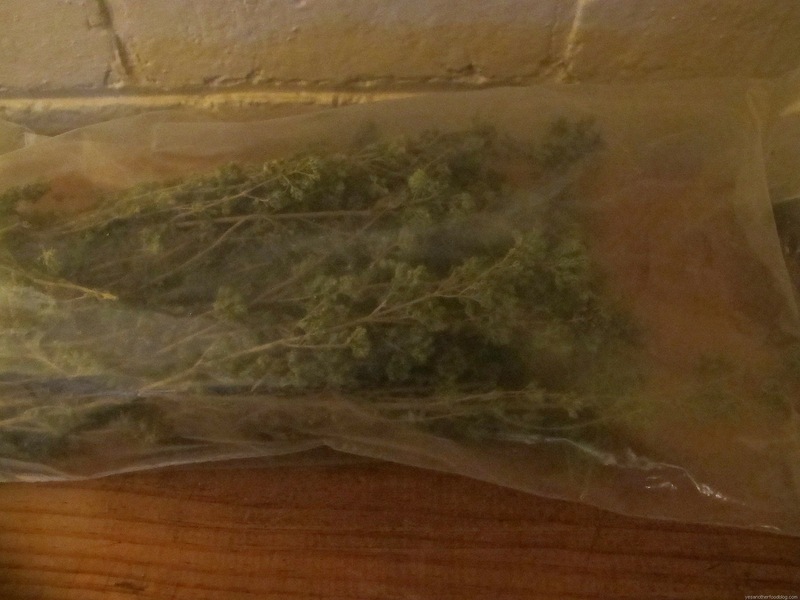 Take off the heat, add oregano. Use a stick blender or food processor to blitz until smooth. Add salt and pepper to taste. Serve warm with oregano croutons and garnish with dried oregano. Tip: When frying croutons in skillet, just add the desired herb or spice to the oil to infuse the croutons. This recipe is part of a 7 course dinner which I recently prepared in Vancouver. I love pecans but if you don’t like them, you can substitute with hazelnuts or just leave them out altogether. I loved this salad and its so easy to make! Mix dressing ingredients in a jar and shake until combined. 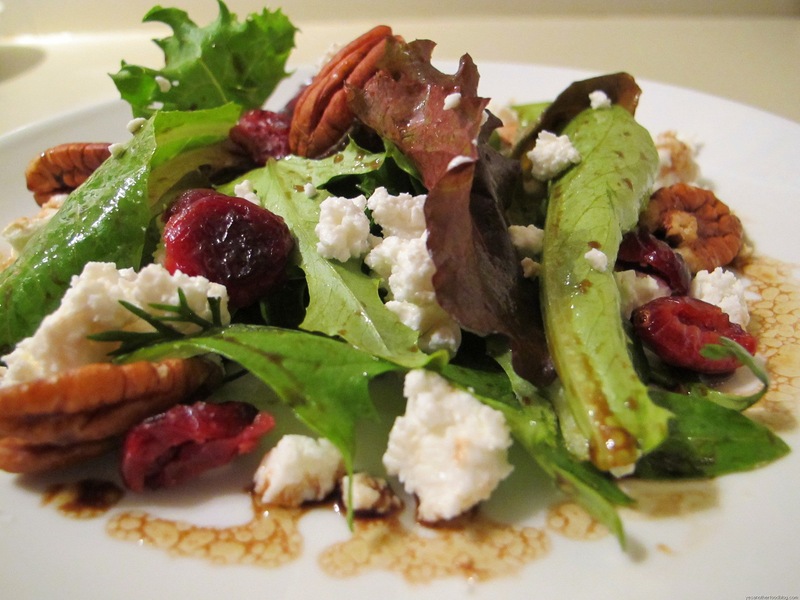 In a bowl, dress the salad leaves, split into 2 portions, then place onto individual plates. Arrange the rest of the ingredients and serve. This recipe is part of a 7 course dinner which I recently prepared whilst in Vancouver. It is based on the original recipe of Brenda Fawdon. I reduced the pecorino cheese because my diner isn’t a huge fan of yellow cheese. 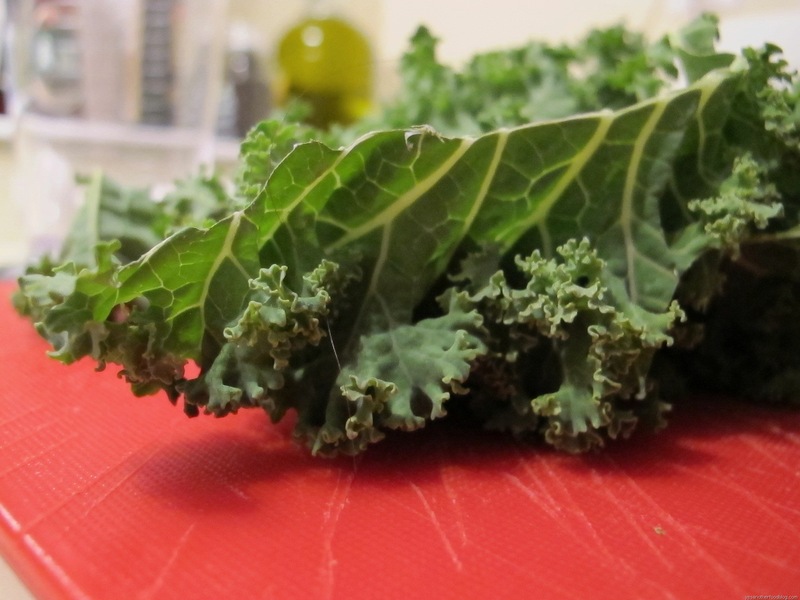 I also used less pine nuts because I wanted the kale to stand out. Again, adjust to suit personal taste. Season to taste and store in the refrigerator until ready to use. 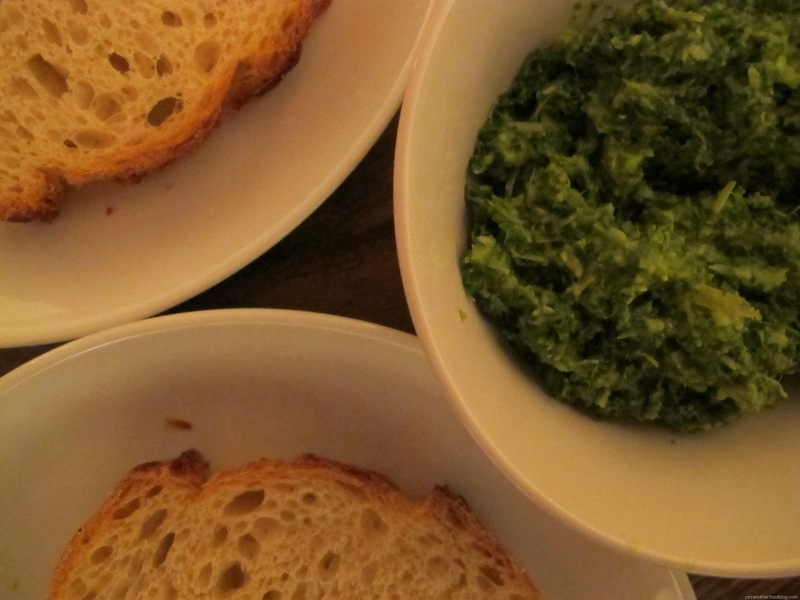 Serve on crusty Italian bread like sourdough or pane di casa. I have recently allowed myself to watch a little more TV than the usual rare occasion. Although I’m not a big devotee of the “box”, I don’t mind cooking programs. In particular, I’ve been following River Cottage Veg on the LifeStyle FOOD channel. It’s about an English celebrity chef who takes on a 4 month meat-free pledge. The series has grown on me because I also have recently taken on a similar pledge: to cut my meat consumption by increasing veg in my diet. I am still a little way off from becoming a vegetarian but I’m definitely enjoying this little challenge. I already eat a good amount of ordinary vegetables, grains and legumes but could be more adventurous. My recent experience with Superfoods has also showed me that healthy meat-free dishes need not be boring or bland. On the contrary, I discovered that there are some interesting textures and tastes which would please most palates. If you looked closer at your next meal, you’ll probably find that many of the ingredients are not meat. So how did I arrive at this recipe? I just made it up! During an episode of River Cottage Veg, the chef prepared merguez spiced lamb liver as he had been really missing meat on his fork. He didn’t eat any though, just watched his colleagues devour it. Later in the same episode, he went on to make a chickpea curry. 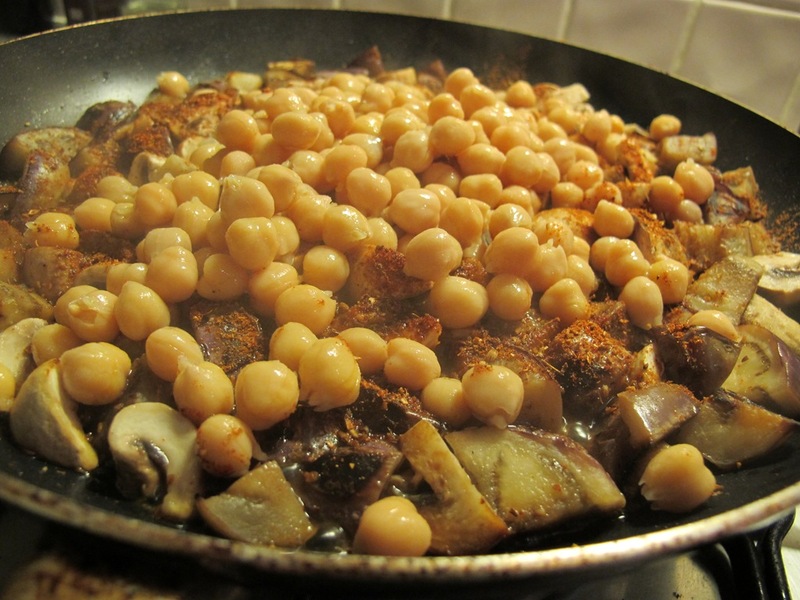 Then it came to me: why not combine both merguez spices and chickpeas? So to clear out my fridge and pantry before my next travels, I went rummaging around for ingredients. I came across some beautiful purple and white striped eggplants (spray free of course) and mushrooms. And that’s it, a new dish was born. You’re probably thinking, “what will he post next, my first protest with PETA?”. Hang in there carnivores! I’ll make sure that the next one includes meat just to balance things out. 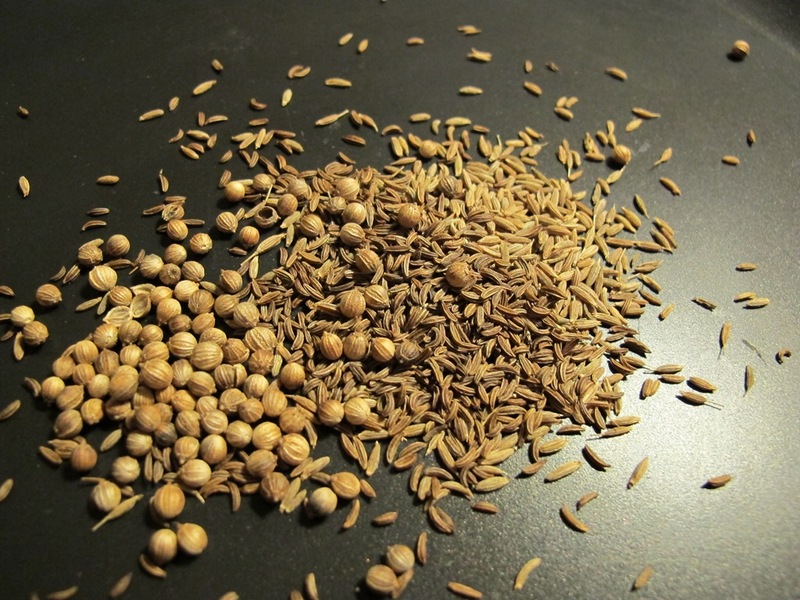 Dry fry all seeds in a non-stick pan, then grind in either a mortar and pestle or spice grinder. 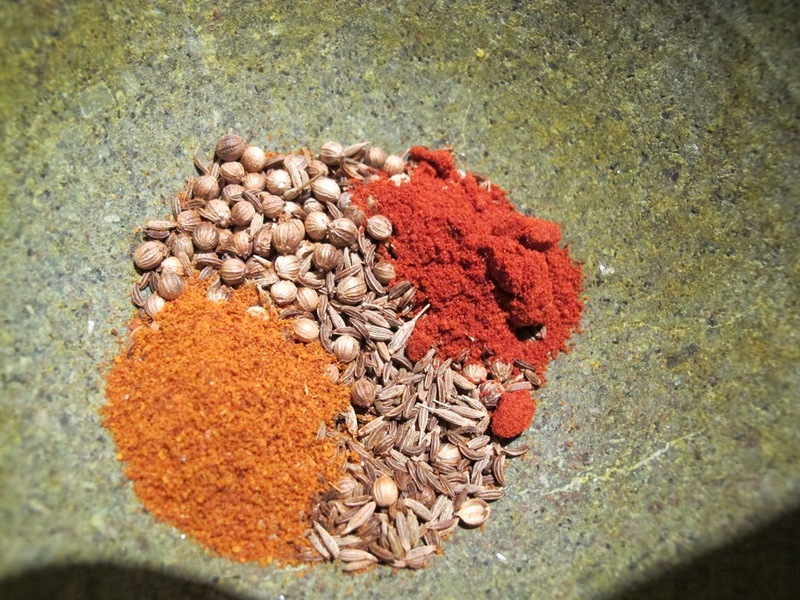 Combine with the rest of the spices and set aside. 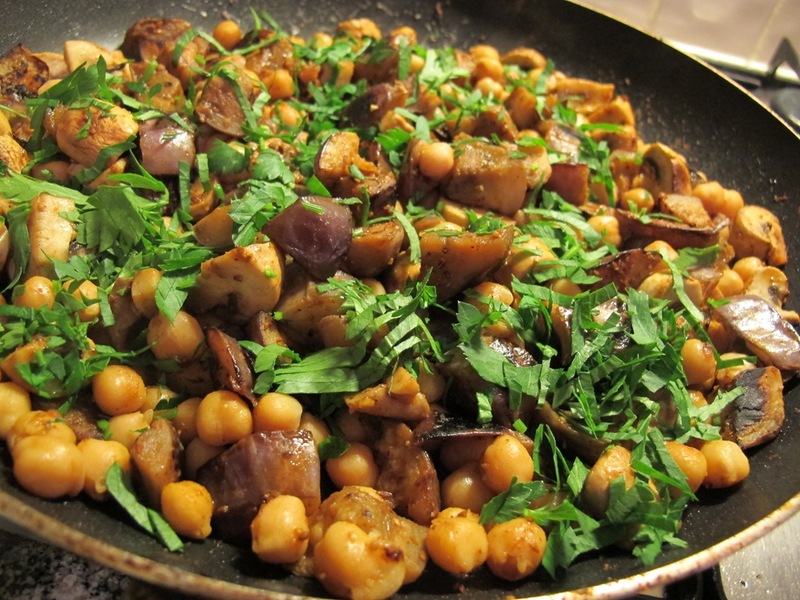 Chop eggplants into bite sized pieces, place in a bowl, add a good sprinkle of salt and massage with a tablespoon of olive oil. 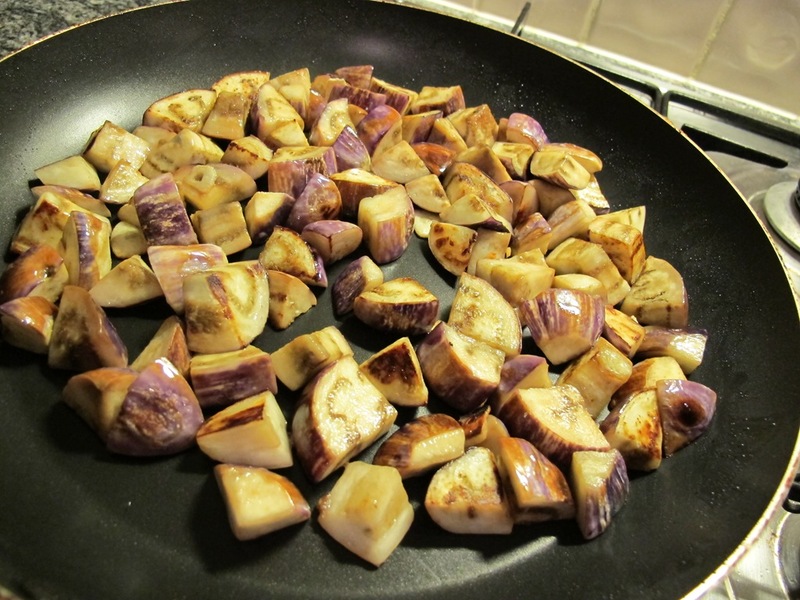 Heat about a 2 tablespoons of olive oil in a non-stick pan, then add baby eggplants and sauté on medium heat stirring frequently until they’re lightly browned. 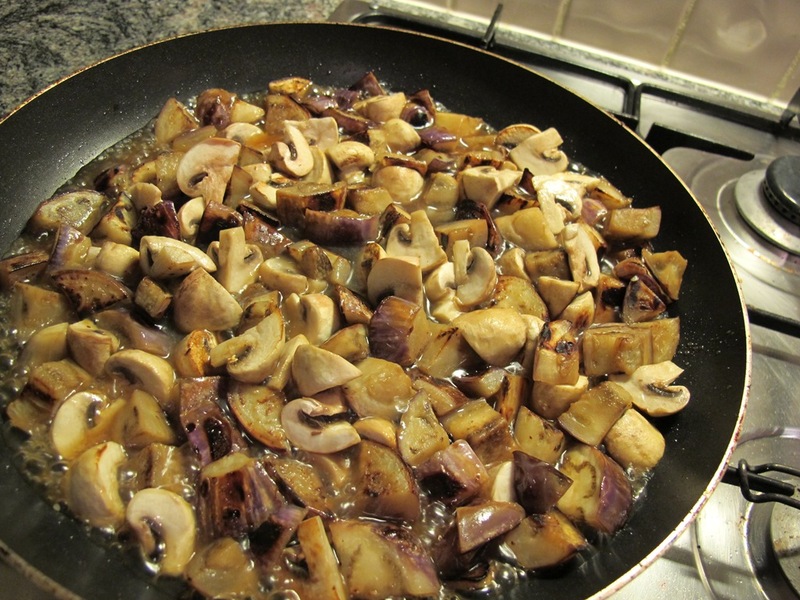 Add mushrooms and garlic, sauté for a few minutes then add stock and stir through. Simmer on low until the stock reduces to about half, then add spices and chickpeas. Cook for another 5 minutes. Season with pepper and garnish with parsley. Serve warm with a good dollop of extra thick yoghurt. 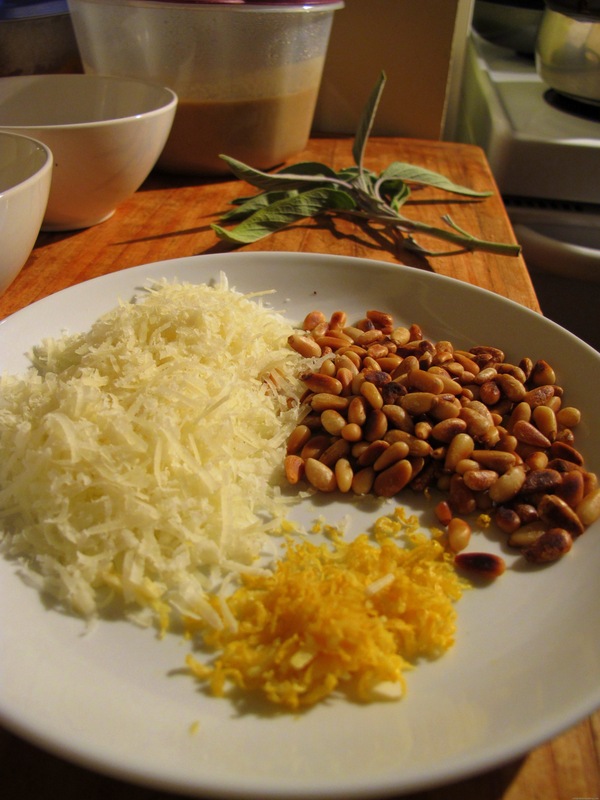 It can also be served with couscous or rice, and of course as a side dish with lamb, beef or meat of choice! What is Merguez? Its actually a North African lamb or beef sausage. 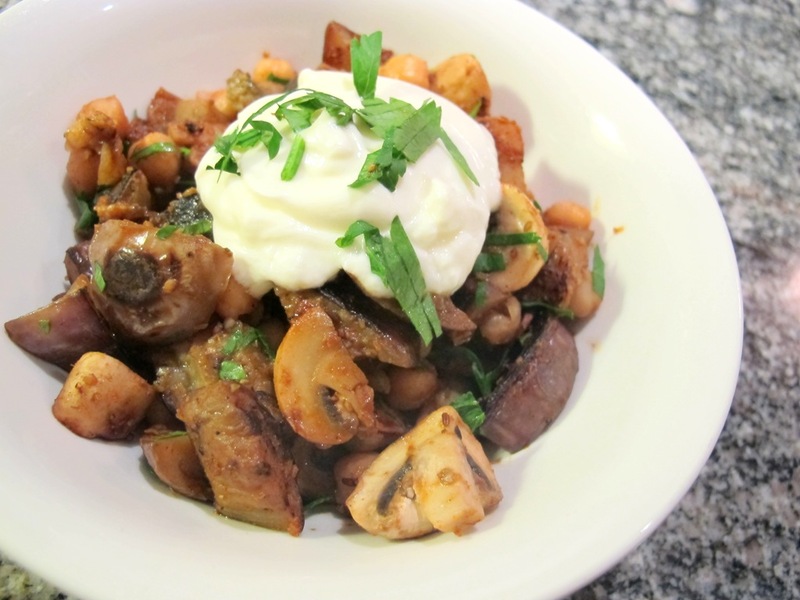 The spices used in the sausage are pretty much summed up in the mix used in this recipe. 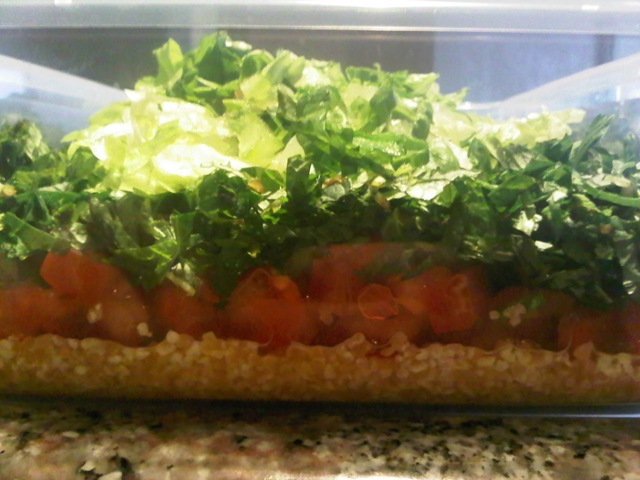 You may be wondering why I’m blogging about Tabouleh when there are thousands, if not millions of recipes out there. The answer is partially that many don’t pass the authenticity test. Furthermore, there are those prohibited recipes that call for a food processor which can entice the lazy cook with the promise that it will taste just the same. Whilst there are a set of rules to conform to when it comes to making Tabouleh, one is still able to showcase their individuality through varying the proportions according to personal taste. Personally, I prefer it with more mint and less burlgar, others with less mint and more burlgar. However, the ingredients that give Tabouleh its unique character should not be substituted with those that don’t feature in the purest form of this salad. While Cous Cous and curly leaf parsley score negatively on the authenticity test, they are acceptable in cases where bulgar and flat leaf aren’t readily available. I for one had to settle (cringing) for curly leaf parsley after committing to making Tabouleh prior to checking if flat leaf was available where I was at the time. I have been gifted with countless opportunities since I started on solid foods to sample Tabouleh at restaurants perched high in the picturesque mountains of north Lebanon, to the middle eastern stronghold of Lakemba and Punchbowl in Sydney at places such as Jasmin and El Manara; not to mention at birthdays, weddings, picnics, barbecues and in the homes of aunts, uncles, grandmas, and of course in my mother’s kitchen. Each Tabouleh was mentally verified against my authenticity checklist, but I’m not one to spoil the party. Giving constructive feedback on food always places one at risk of snobbery (even when done in good faith). The other reason behind this post? I was recently asked by a friend for my Tabouleh recipe. I didn’t have one. So, I followed up by making his newly arrived bride and he a tub of takeaway Tabouleh and promised to note down the recipe for a subsequent posting. 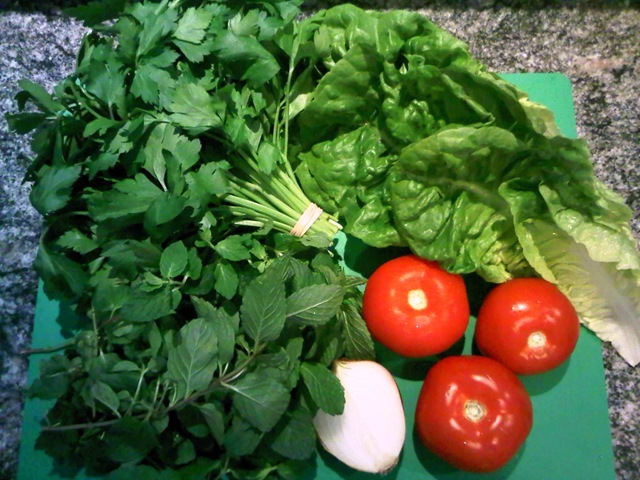 Wash the parsley, mint, tomatoes and lettuce. 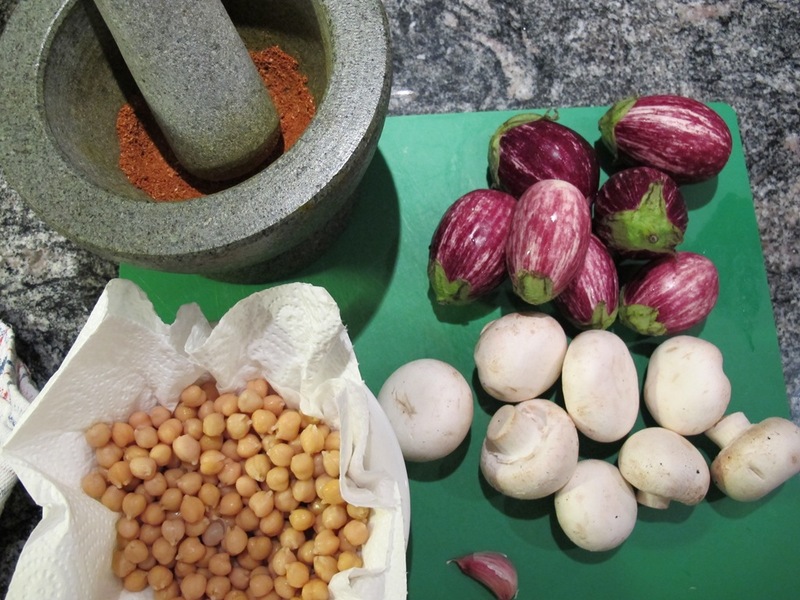 Start by placing the bulgar at the base of your bowl. Pour lemon juice over the bulgar: there’s no need to soak it in water if you have a couple of hours for the bulgar to soak up the lemon juice. Peel and dice the onion, rub it with salt and then place in the bowl over the bulgar. Dice the tomatoes and layer over onion. Gather the parsley into small bunches and align stalks, place a rubber band at the base of the bunch and chop finely with a sharp knife. Chop up the mint (including the stalks if they are soft and thin, as that’s where all the flavour lies) then layer over parsley. Chop up the lettuce leaves into long thin strips and then cross ways, then layer over mint. 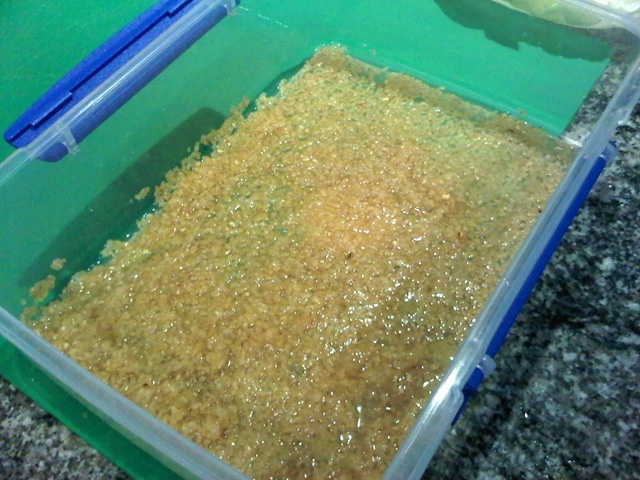 Add olive oil and toss through, taste and add more salt if required. Tip: If you do not intend to serve immediately, don’t add the olive oil and don’t toss it through: just cover with cling wrap and set in the fridge. It won’t go soggy if you layer it as described above.